English Raspberries are to die for! So juicy and packed full of berrie-goodness! Have you tried our flat Peaches yet? We are now at the height of the Spanish stone fruit season and the produce coming through is to die for! Not only do we have the Flat but our standard Peaches, Nectarines, Apricots, and our fabulous Plums. Local Somerset Gooseberries are in stock; they are available by the kilo or 5.4kg box, a top seasonal line! One of our favourites this time of year is our Cornish New Potatoes from Helston they are absolutely delicious! We also have beautiful new season Mids which are also from Cornwall, and our Jersey Royals continue to be a top seller and are of outstanding quality. 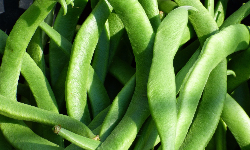 The summer just wouldn’t be complete without our yummy new season English Runner Beans! Next week we will see the first of the English leeks! With their sweet but mild onion-like taste. They are great in multiple dishes such as soups, casseroles, and pasta dishes. They also work really well with cheese, eggs, and meat! Not only do we have superb Bunched Beetroot from Worcester but our English Bunched Carrot is for there also! 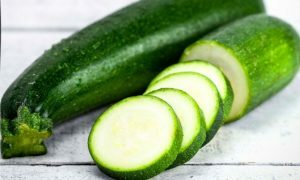 Courgettes are one of the most popular summer squashes in Europe! Did you know most of the members of the squash family have lovely smooth skin and a tender but crunchy flesh! Our new season Dutch Fennel is one to order! It’s almost like Marmite you either love its sweet aniseed taste or you don’t! Cavolo Nero is also known as black kale, black cabbage, the distinctive long dark green and almost black leaves look superb. It is an extremely versatile vegetable with a rich, slightly intense sweet flavour, which means it can be used in a number of different ways. 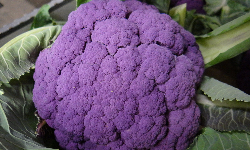 And the coloured Cauli are back into season! We have seen the first of our outstanding Orange and Purple Cauliflowers! Our Spanish new season large onions are starting to improve. In the coming weeks we will move onto Spanish Parsnips. Sadly it’s that time of year again where the Wye Valley English Asparagus comes to an end! As this comes to an end we will slowly move onto Peruvian! French Banana Shallots are coming to an end as we move over to UK grown! New season Cherries are here, however we are finding that the English market will be limited to start with but will keep you inform when they become more plentiful. We have temporarily delisted Lambs Lettuce due to inconsistent quality issues. We will keep you informed as to when the product will be back in stock. 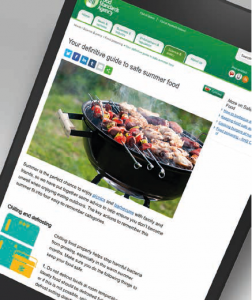 The Food Standard Agency have launched a summer food guide, this article reminds you how to keep your food safe in this very hot weather! like to view the article please go to www.food.gov.uk to check out the article. This is currently monitored between 7.30am – 10pm, Monday to Friday. phone call! 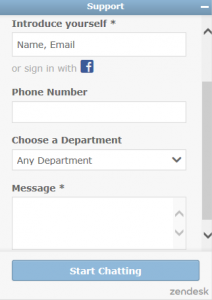 Here you will be able to ask us any questions about products, deliveries, accounts etc. And we can get back to you within a matter of minutes! Why not give it a go! We will shortly see an increase in the cost of all dairy products. This is partly due to weakening of the pound and recent Brexit talks. We will keep you informed with any reviews on the cost of these products.